Edward Ardizzone: Shelter Scene. Colour lithograph 1941. National Gallery. 76 x 102cms (30 x 40 inches). Light vertical folds. Category: Miscellaneous. 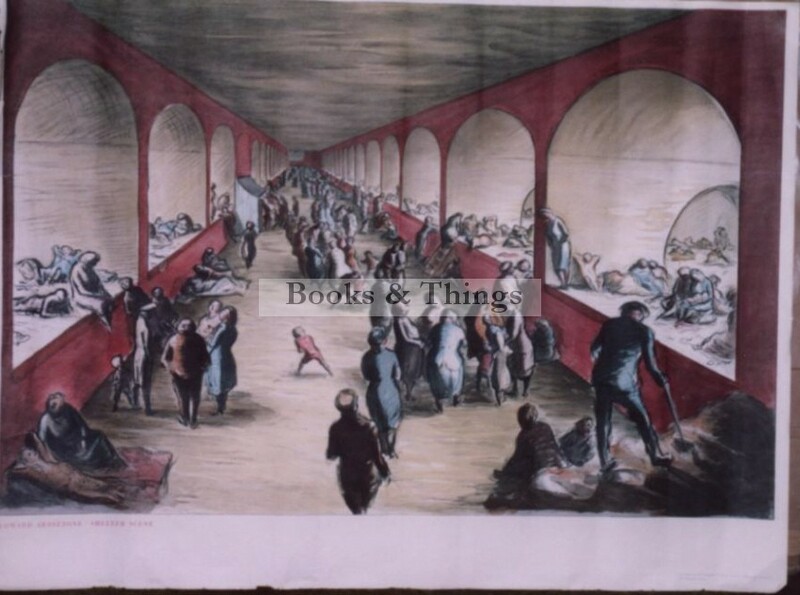 Tags: Edward Ardizzone lithograph, Edward Ardizzone Shelter Scene.